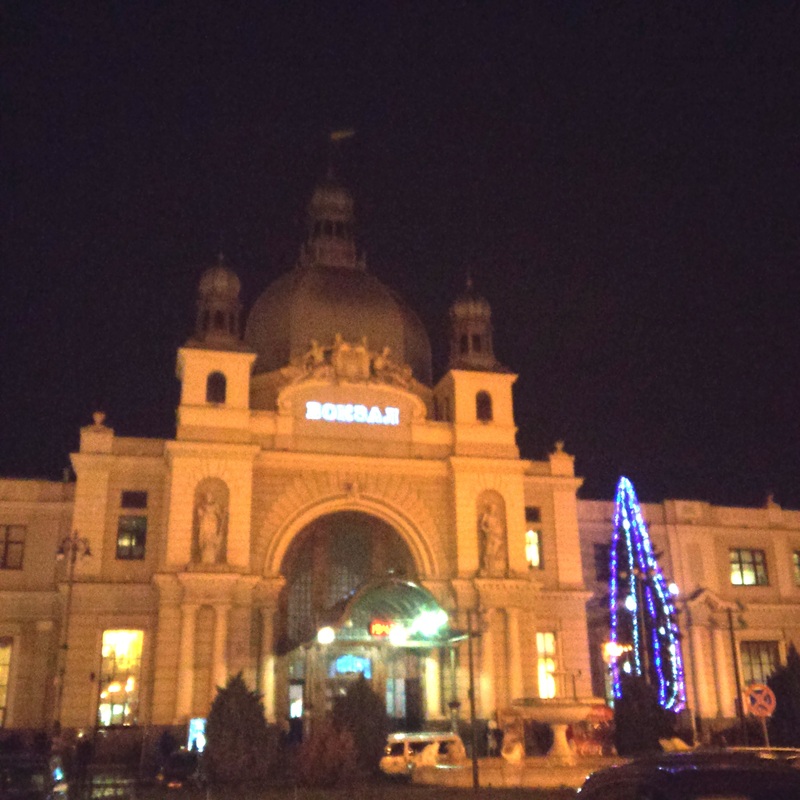 In the early hours of a chill winter morning last December I made my way by taxi to the train station in Lviv, Ukraine. I was bleary eyed, with a dull headache from a restless night’s sleep. It is always this way when I have an early departure. In this case my train, headed non-stop towards Budapest, was to leave the station at 5:45 a.m. I could not miss this train since it was the lone non-stop express into Hungary that day. My taxi surged through empty streets. The city was in a deep sleep, with dawn still hours away. Arriving at the station, I exited the cab. My attention was suddenly taken by all the activity in and around the station. Glancing about, I noticed groups of soldiers in fatigues, walking slowly towards the station. They were toting packed duffel bags. These soldiers were headed to the Ukraine’s far eastern reaches, to the war zone of the Donbas. The fact that these soldiers were disembarking from the most “Ukrainian city in the Ukraine” to points east should not have been that surprising. Here in the most nationalistic part of Ukraine soldiers were heading off to combat, fighting to save a distant part of their country. The war was on the other side of the country, but if a separatist onslaught was not stopped in the Donbas Region now, it might conceivably reach the doorsteps of Kiev or Lviv in due course. I looked at these men, wondering to myself, how many had seen combat before? Were they conscripts, professionals or volunteers? How many would come back alive? How could they look so calm and nonchalant? Surely they must have known the same things as I did. The war against Russian backed separatists was a terrible mess. Ukrainian forces were barely holding on to Donetsk. Men were wounded or dying every day. I looked at these soldiers and thought will courage and luck be with them. They were stocky, well built, but otherwise regular men. I wanted to reach out and touch them. Just to see if they were real, because their presence made the war real for me. The war was suddenly no longer lines on a map, news stories from the Kyiv Post or International New York Times or grainy YouTube videos with muffled explosions and shouts of Slavic words. No these were real men, leaving a real place, heading off to a real war. I would travel back to Hungary on that day and a little later fly home. These soldiers might never come home. This could be the last time they would see their hometown. Here I was walking only a few yards apart from men who a month from now might no longer exist, be badly wounded or left with psychological scars for life. Suddenly the war felt very close. 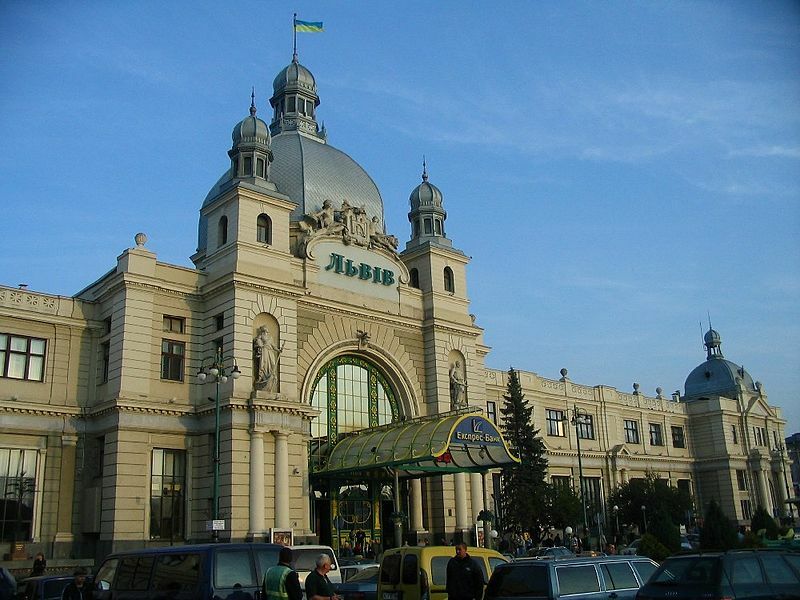 Lviv has a majestic, eclectically elegant domed train station. It is so grand and imperial that it is hard to believe that the building would ever have anything to do with war, especially in 21st century Europe. The station looks more like the type of place eternally waiting to greet the ghost of Franz Josef or some other important administrator, arriving to survey the far flung reaches of empires lost long ago. If such a dignitary were to have somehow traveled forward in time to that chilly December morning, they might not have been so shocked by the sight of soldiers at the station speaking in a Slavic tongue. After all, a century before exactly this same situation had occurred. There had even been an American witness. The only difference was that the soldiers were not Ukrainians going to fight Russians, but Russians occupying what was to eventually become part of Ukraine. Obviously what I saw was very different from the scene Washburn witnessed. There were no sick or wounded. The Ukrainian soldiers were not occupying the station, they were leaving it. Yet the fact that the station was once again crowded with soldiers, shows that war still casts a long shadow over this region, as do Russian actions. 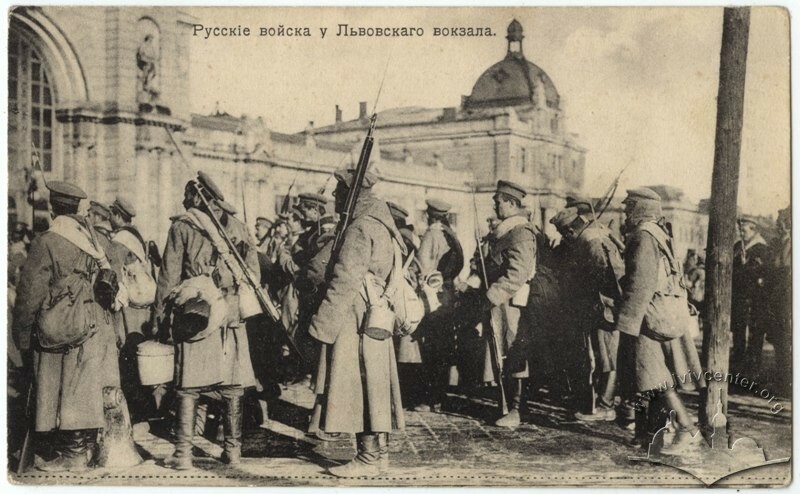 The fact that men gathering at Lviv’s train station were heading off to face forces backed by Russia, shows that the Great War fought a century ago did not manage to settle, but rather unsettle affairs in Ukraine. If anything, the Battle of Galicia in 1914 inaugurated an era that threw the region into a chaotic upheaval which is still playing out today. Russian occupation was temporary at that time and later Soviet occupation lasted less than fifty years. The Russians see Ukraine as their backyard, but they are far from getting near Lviv or anywhere else in the western half of the country. The Russian occupation of Galicia in 1914 was heavy handed. They managed to alienate a Ukrainian populace that spoke a relatively similar language. As Alexander Watson shows in Ring of Steel: Germany and Austria-Hungary in World War I The People’s War, “The Tsarist army’s attempt to retake Galicia as a Russian land was a disaster. People who had once sympathized with the Tsar’s pan-Slavic aims were alienated by his army’s brutality and religious intolerance.” A hundred years later, the Russians have managed once again to turn the overriding majority of ethnic Ukrainians against them. Russia sees Ukraine, even the western portion as part of its sphere of influence. Yet it is hard to see any Russia influence here that has not been a bad one. Not so long ago Galicia and Lemberg were crawling with Russian soldiers. Now that region and the city at its heart are sending soldiers to fight against Russia. There are parallels with the not so distant past here, but there are also irreconcilable differences. Ukrainian men were leaving their homes behind before dawn on a dark December day to try and settle such differences. I saw it for myself that chill winter morning.